4341 N Sunset Cliff Drive, an almost 2,100 square foot, one story home was just listed today by Coldwell Banker Residential Brokerage at $330,000. Contact me if you would like to view this beautiful home! 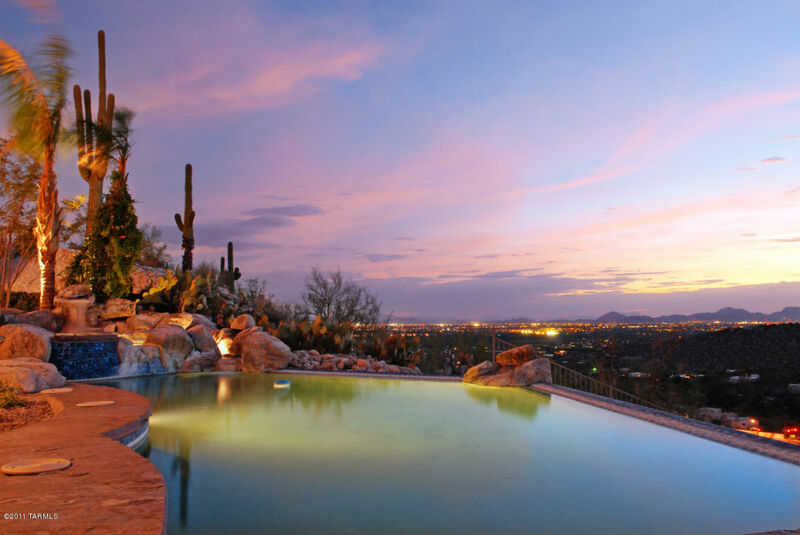 7525 E Crested Saguaro , a 6,747 Mediterranean sited on almost one acre in the exclusive second gated area of Sabino Mountain of “The Retreat”, has been reduced to $1,690,000; this 9 year old home was previously sold for $2,250,000 at the peak of the market in 2008. This home is listed by Help-U-Sell Galleria. 4488 N Sabino Mountain Drive sold for 810K after being marketed by Long Realty for four and one-half months. 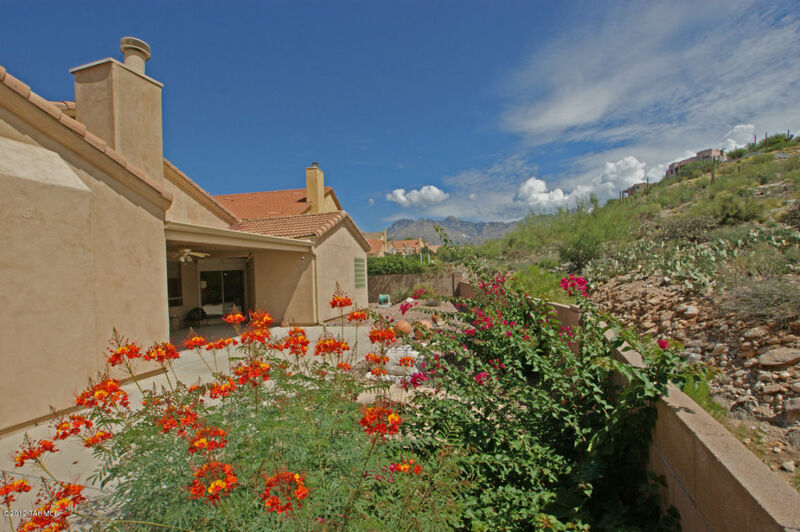 This 3,064 square foot home is located on the ridge on an acre with magnificent Catalina Mountain views. 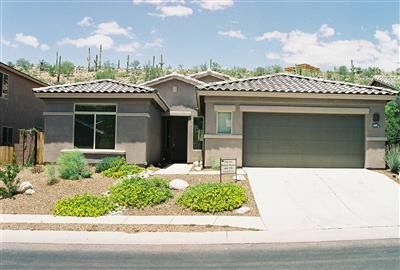 The last Sabino Mountain home that sold for over 800K was more than 2 years ago and it was a Quail Canyon home that sold for 875K in December 2010. 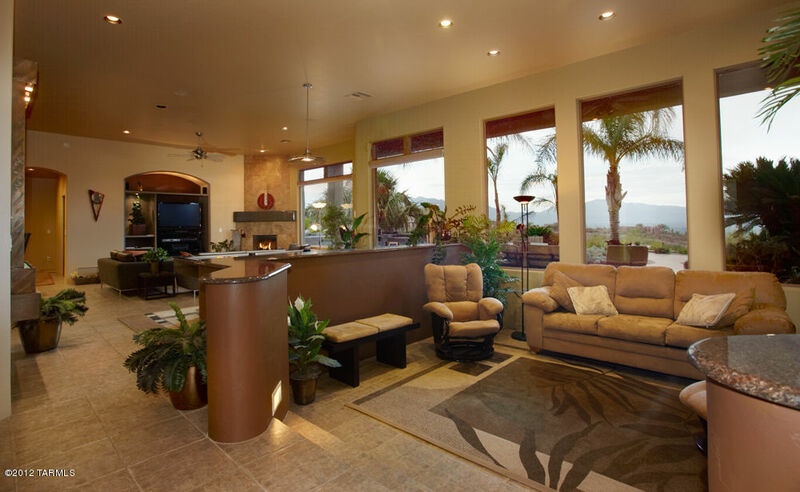 Finally Sabino Mountain is seeing some high-end home sales! 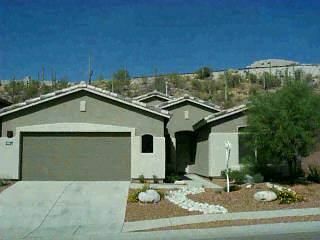 4388 N Sabino Mountain Drive came back on the market with a List Price of 858K, listed by Tucson Arizona Real Estate. 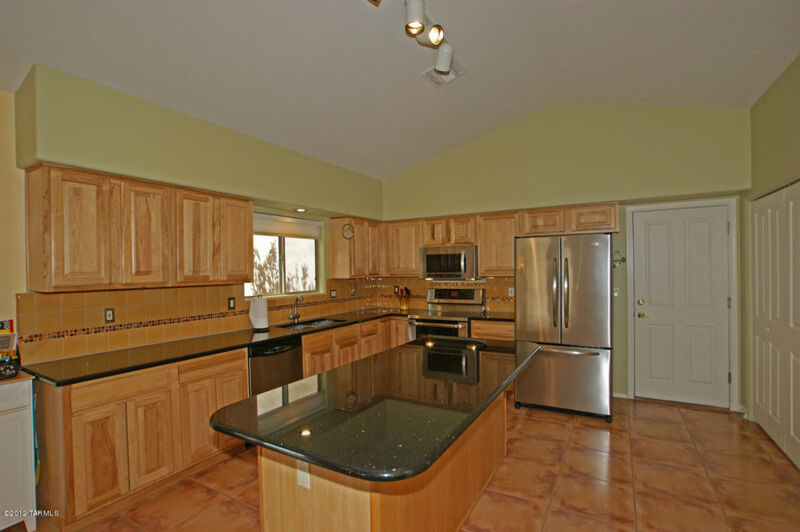 This ridgetop home has 4,700 square feet and is sited on 1.17 acre. 4225 N Boulder Canyon is for sale for 825K; it last sold in 2007 for 995K. This 3,700 square foot beauty is sited on 1.28 acres and has a spacious RV garage that can store up to 5 cars. 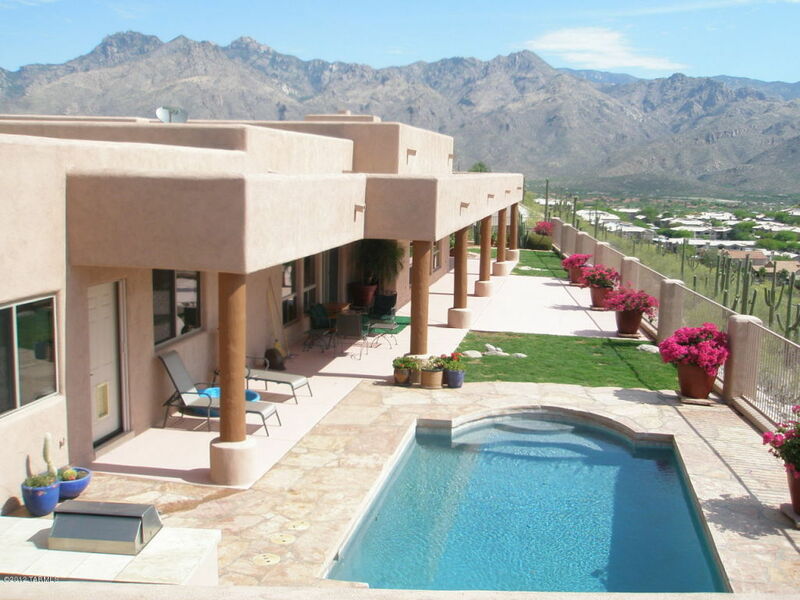 Poolside has magnificent Santa Rita Mountains and City Views, coupled with views of the pristine Sonoran Desert. This one is listed by Long Realty. 4466 N Saddle View, List Price $314,995 is back on the market; it is listed by Flowering Wells Realty. It boasts a 3 car garage, 2,236 square feet of living space with a large master bedroom walk-in closet (was a sitting area, but was converted to a walk-in closet). Don’t hesitate to contact me if you would like to view this home. 4466 N Saddle View is back under contract; List Price is $314,995 for this 2,236 square foot, Pepper-Viner built, one-story home with 3 car garage. Marketed by Flowering Wells Realty. Coldwell Banker Residential Brokerage just listed a 2,100 square foot, one-story home at 4099 N Sunset Cliff Place for 330K. This Monterey-built home boasts 3 bedrooms, 2 1/2 baths with granite kitchen counters and a popular split bedroom floorplan. 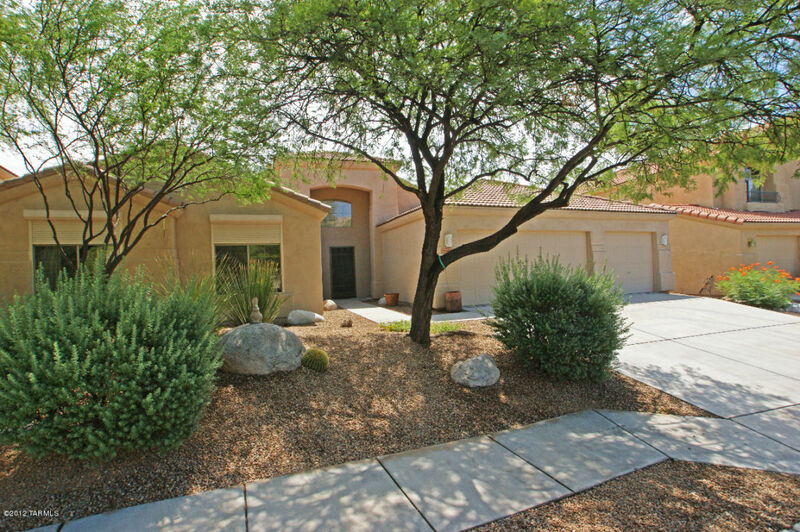 I would be happy to show you this beautiful home; call me at 520-615-2598. 4466 N Saddle View Drive went under contract, but this contract fell-through. It is back on the market at a reduced price of $314,995 which is a good price for this 3 bedroom, 2 bath, 3 car garage, over 2,200 square foot one story home. It is marketed by Flowering Wells Realty. Right across the street from 4201 N Quail Canyon (listed for 850K and mentioned next under) is 4222 N Quail Canyon Drive that has the same Outpost Floorplan but has a differently designed Casita, and a view of the Rincons and Santa Catalinas from the back side view. It originally sold for 655K when it was new in 2004; the next owner added a pool, spa, bbq, and this third owner added a Casita and new floors and wood ceilings and many other custom features–steam shower, wine closet, etc. Listed a few months ago for $1,185,000, it is now listed by Long Realty at a reduced price of 995K and has 3,647 square feet. 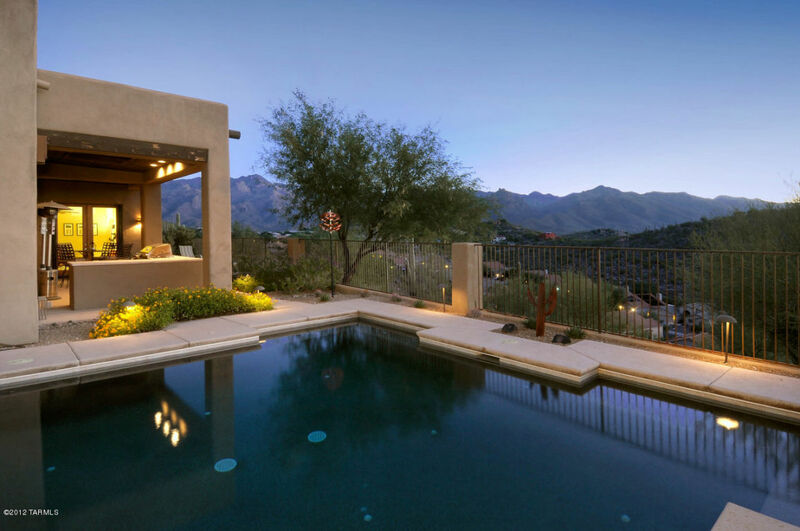 Buyers will have two similar homes to chose from, both with Casitas; one listed for 850K with a city view and the other for 995K with a Rincon–Santa Catalina Mountain view. You are currently browsing the Sabino Mountain Blog blog archives for January, 2013.